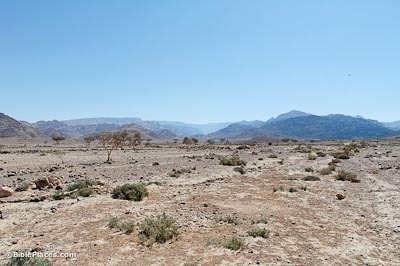 The area of Feinan is believed to preserve the name of biblical Punon. 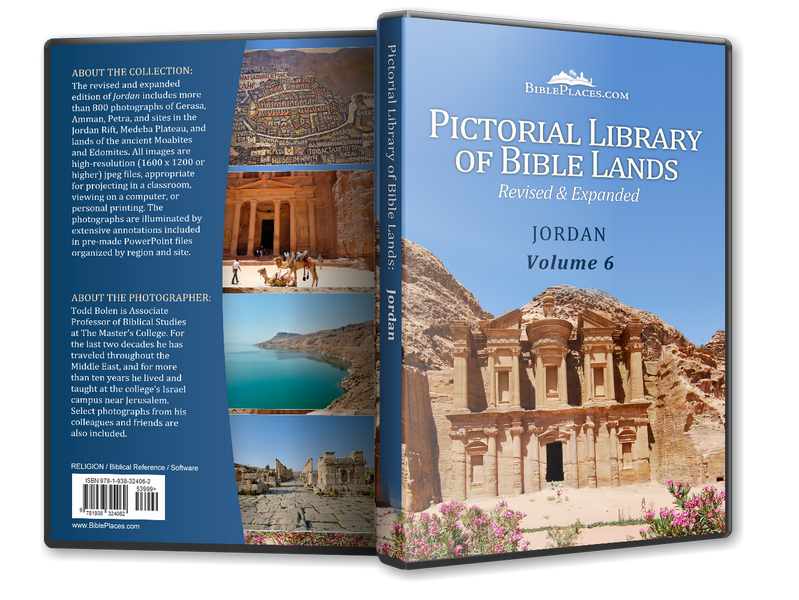 The only occurrence of the site name Punon is on the journey of the Israelites toward Moab (Num 33:41-43). The incident with the bronze serpent occurred after Israel left Punon and before they came to Oboth (Num 33:43; cf. Num 21:4-9). The location of Oboth is unknown. Feinan was occupied from the Chalcolithic age to the Byzantine period (4000 BC – AD 630). In Roman and Byzantine times, the site was known as Phaino. 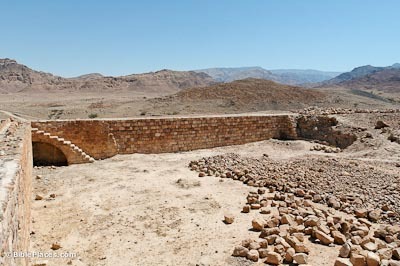 The Roman reservoir shown here collected water from springs in the wadi. Thousands of burials are located in the area, mostly from the Byzantine period. Feinan was a site of copper mining throughout its history. 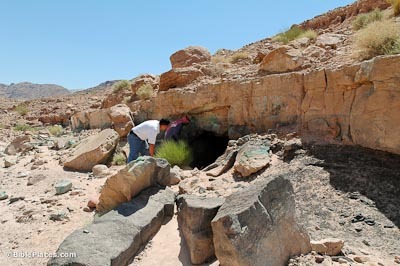 It is one of the largest copper mining sites in the Middle East. 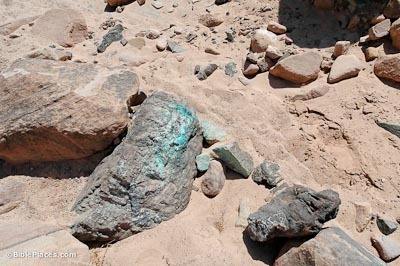 German archaeologists estimated that there are up to 200,000 tons of slag in the Feinan area, which represents up to 20,000 tons of copper production in antiquity. There are mine shafts in the area today which can still be entered. Some mine shafts are entered vertically and others are horizontal shafts into the hillsides (shown here and below). The copper mines were mined more or less continuously from the Early Bronze age to the Early Roman period. 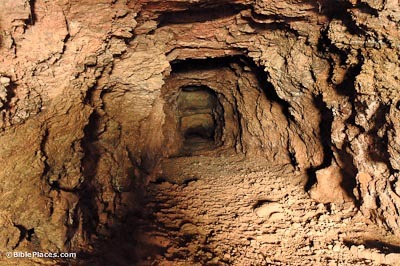 Eusebius records that in the Roman period criminals and Christians were sent to these mine shafts for forced labor.